You can download large TIFF image files. For instance, this image is available in a 2925 x 4300 pixels (12.6 MP) size which translates into 9.8 in x 14.3 in @ 300 PPI. The paper comprising Supplementary Information for: Nature 337, 611– 615 and Details of chemical cleaning of the Turin samples is interesting. This is extremely important info, just one day after an update on Shroud.com. I think Barrie should include it in the recent update. For now I leave to othes evaluation of those info. Unfortunately, it seems we still have no info on how the sub-samples were positioned there -at least couldn’t find it there. 2007 UK Freedom of Information Act, and now is 2014? I don’t understand something. Professor Christopher Ramsey is clean, he believes that there was no error in the 1988 carbon dating, and is willing to open the doors of the Oxford laboratory, if necessary, for another test. The problem is that it seems no one has come with a theory about how the results were skewed which is acceptable to all Shroudies or not challenged by non-Shroudies. Professor Ramsey is a practising Christian, his faith does not depend on the TS. Interesting to learn that Professor Ramsey is a practicing Christian . Laboratories throughout the world are willing to open their doors for another carbon dating test , but the Vatican don’t agree. Why ? What is the Vatican afraid of ? The Vatican is not afraid of any C14 test, it is 2000 years old and learns from mistakes and the relic is not an article of faith. My suggestion: read Ian Wilson’s last Shroud book to learn why it could be a mistake to rush forward with another C14 test. “Just to say that I applied to Oxford University (under the UK Freedom of Information Act 2007) to supply the photographs and data surrounding the 1988 tests. “I suspect it is Louis’ cloak”. Yes,according to the Nature 1989 report, 2575 = sample 1 (Turin), 2574 = sample 2 (Nubia), 2576 = sample 3 (Thebes), 2589 = sample 4 (Provence). The last one is missing from the photos. All four samples are in the data file. From the data file, one can see that the total weight of the three subsamples for the Shroud is 46.8 mg, that is slightly less than the original weight of the sample. (The slight loss is probably due to the pretreatment with petroleum ether.) 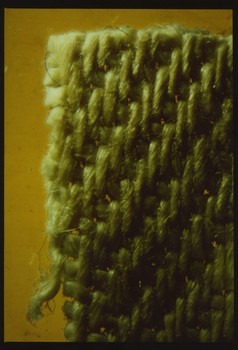 Therefore all the available textile was used for the dating procedure and no reserve was left.